Defender Andrew Taylor has joined Cardiff City from Middlesbrough believing the Bluebirds are Premier League material. Taylor, 24, rejected a new offer from Boro in favour of a free move to Wales. "I want to be playing back in the Premier League and I think this club is a club waiting to be in the Premier League," said Taylor. "It's got the right facilities and the right fan base and hopefully we can to do it this season." He spent part of last season on loan with Watford, who were managed by new Cardiff boss Malky Mackay at the time. 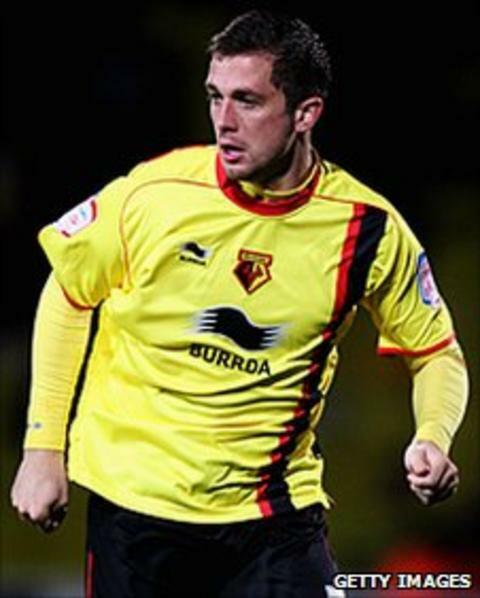 Mackay tried to sign Taylor on a permanent basis for Watford, and has made him a prime target for Cardiff. "I just felt it was time for a change. I had been at Middlesbrough since I was nine years old," added Taylor, who has passed a Cardiff medical. "I really enjoyed my time at Watford. As soon as I head he [Malky Mackay] was interested [in me] it was something that immediately appealed." Boro manager Tony Mowbray had said he feared failure in his attempts to persuade him to stay in the north east. "It's not all about money for Andrew Taylor," said Mowbray in June. "I think he wants to be in the right place and be at the right club and there are some issues we are trying to work through. "I think on football terms Andrew would like to be here and I would still hope that that's the case, but the next week or so will decide that." Taylor, whose contract with Boro expired at the end of June, impressed during his loan spell at Watford, making 19 appearances and scored his first professional goal - a left-footed volley in Watford's 3-0 win over Portsmouth a day before his loan deal came to an end. The former former England Under-21 international forced his way back into the Boro team on his return, going on to score three more goals in his 20 games for the club, often playing in a more advanced role. Mowbray added: "He spent most of the time in midfield, in a three-man, a four-man midfield, [so he's] a very versatile player and I would like to sign Andrew Taylor." In 2009, Taylor launched a website aimed at helping fellow professional players avoid being ripped off or receiving bad service. Mackay made his first signing as Cardiff manager by securing Craig Conway on a free transfer from Dundee United. The Cardiff boss is also hoping to tempt the Scottish club with an offer for striker David Goodwillie. Meanwhile, goalkeeping coach Martyn Margetson, 39, has tendered his resignation and is reportedly set to take a similar role with West Ham United. Margetson, who made over 40 appearances between the posts for the Bluebirds, is also part of Wales' backroom staff.